To provide outstanding A Level education and examination results for able students in Newham and East London to enable them to progress to the most competitive universities, including Oxford and Cambridge as well as prestigious universities world wide. 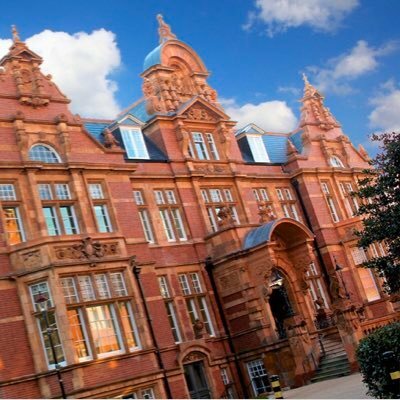 We opened in September 2014 and are based in stunning Grade 2 listed buildings in East Ham with excellent resources and facilities to support outstanding A Level teaching and learning. Most importantly, expert teachers who have been educated at some of the most respected UK universities will help you get the best possible A Level results allowing you to access the world’s best Universities or high status School Leaver Programmes. 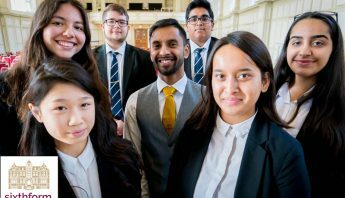 Within four years we’ve established a reputation as being one of the best sixth forms in London and the UK, with many media outlets talking about our work in supporting our students to realise their true potential. 95% of our most recent cohort received offers from Russell Group universities, a year which also saw us send our first student to continue studies at MIT in America. According to our most recent ALPs Report, we are ranked in the top 1% of all UK schools for value added which validates the exceptional and outstanding quality of teaching at the NCS. These outcomes demonstrate we are starting to have a profound effect on improving social mobility, improving the life chances of our young people and their families. 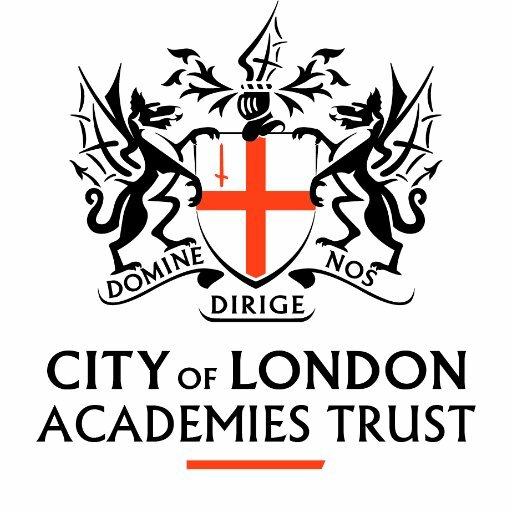 The NCS is part of the City of London Academies Trust and is the academic A Level centre for a group of Newham Schools – Cumberland, Kingsford, Lister, Little Ilford, Plashet, Rokeby, Royal Docks, Sarah Bonnell and Stratford School Academy. We also warmly welcome applications from many other secondary schools either in the borough or from other areas. Earlier this year we were visited by the team from the Good Schools Guide, the notable publication that’s written by educational experts, for parents. Below are a few quotes from their report on the work we’re doing to raise student ambitions and affect social mobility in our community. Ivy League Preparation Programme trip to the USA. Watch the film now! 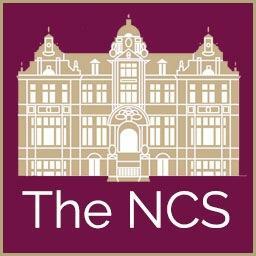 What makes The NCS so special? with a fantastic track record of academic excellence and success at A Level. The NCS offers an A Level curriculum in the core and facilitating subjects recommended by leading universities. We currently provide courses in Biology, Chemistry, Economics, English (Lit), Further Maths, Geography, Government & Politics, History, Maths, Physics, P.R.E (Philosophy, Religion, and Ethics) and Psychology. Following advice from the best universities, our Super Curriculum has been designed to allow our students to become deep thinkers, critical enquirers and intellectual risk takers. What we have devised will fill the void that currently exists and make you more attractive to the most competitive universities. Study beyond your usual subjects! Courses offered include; Engineering, Great Thinkers in History, Advanced Mathematics – Problem Solving, Classical Civilisation & Latin, Feminism in the 21st Century, History of Art, Coding & Computer Science. We develop your personal confidence, soft skills and leadership through our various development programmes, provide in-house training on entrance examinations such as the BMAT/UKCAT/SAT/ACT, and have a comprehensive Oxbridge preparation programme. The NCS is privileged to be able to welcome high profile guest speakers from the world of academia and industry to share their knowledge and experiences with NCS students. Our lecture programme has been designed to provide our students with an alternative perspective to some of the material they have been exposed to during their lessons. Technology permeates every aspect of sixth form life at The NCS. Every student receives an iPad as our tool of choice allowing them to take a lead on learning in collaboration with their teachers. Together they co-construct learning to accelerate progress and development. Our commitment to helping you gain the best placements, positions and futures has led to the establishment of the NCS Ambassadors Network. These successful young people have all been previously supported and guided by the same staff that teach and shape the learning experience at The NCS. Their successes in their studies and subsequent careers has led them to want to give back to the communities that they grew up in; providing guidance and mentoring to those young adults making the same choices they once did. Expect real world advice from those who are successfully living their dreams; from how to handle applications and entrance interviews, to studying and living abroad, to guiding you in choices that you can make now to aid your long term career. We are delighted to report that the third cohort of NCS students have achieved outstanding results in their A Level exams. A headline figure of 90% A*/B GRADES and 99% A*-C GRADES. These results place us in the top 10 A level providers (including grammar schools) in the UK. Our students attend The NCS from all over London to enjoy the immense benefits we offer. Discover why they chose us and what they thought once they arrived by watching their video profiles. Where can The NCS take you once A Level studies end? Meet our alumni who have gone on to study at prestigious universities such as MIT, Oxbridge, and LSE to name a few! Watch their profiles and catch up stories. What are current leaders saying about The NCS? "Such an honour to be invited & incredibly sharp questions!" "The students learning inside this red-brick building, nestled among the fried-chicken shops, pound shops, and pawnbrokers on Barking Road, are bucking every trend." "A real pleasure to address an outstanding group of students embarked on a great new initiative - I wish all of them and their teachers much success." "Really enjoyed speaking and meeting your brilliant students. Thanks for having me!" "A few years after opening [Newham Collegiate Sixth Form] is boasting some of the best A Level results in the country." "If you are serious about maths & looking for a 6th form college in Newham, then this place is a bit special." "On behalf of KPMG, we would like to express our gratitude to the NCS for providing us access to such talented students. Their drive and determination is unrivalled and is a testament to the high quality teaching at the NCS." "They teach a Super Curriculum. Latin, history of art, debate. Education you would normally only get in the private sector." "The students all demonstrated enthusiasm, energy and passion on the subject of what defines leadership and sighted good examples of leaders in our society. They are all talented and bright and i am sure wil grow into strong leaders." "Have enjoyed a wonderful visit - great questions, an engaged audience and I hope lots of pupils who will be doing politics!" "A stimulating and very bright group of young people who will lead our economy and country into a new era." "The college’s vision is to inspire their students to do what inspire's them and judging by these results, it’s a winning formula." "I have rarely met such a well-mannered group of young people. The school, set in a stunning Grade II-listed building, is today teeming with ecstatic teenagers. You sense this is more of a family than an educational institution." The NCS is delighted to enjoy a Strategic Partnership with UCL, one of the world’s leading universities. The Partnership, which was established in 2014 just after the NCS opened, has already brought immense benefits to both students and staff at the NCS.